CT (computed tomography or CT scan) is an imaging technology that uses x-ray beams (radiation) and computers to create detailed, cross-sectional images of an area of the body. CT scans are frequently used to evaluate abnormalities such as blocked blood vessels. CT also may be used to locate infections or tumors, It serves as a valuable tool for use in minimally invasive interventional radiology procedures. One of our newest, high-tech devices is the GE Revolution scanner -- the first such device in the state. It is many times faster than conventional multi-slice CT (“CAT”) scanners. In a single rotation lasting about a third of a second, the Revolution captures 256 “slices” of anatomical data. The Revolution represents a significant technological leap in coverage area, image clarity and speed, creating spectacular three-dimensional views of organs, arteries and veins. The speed of the Revolution makes it ideal for creating detailed images of the beating heart. The Department of Computed Tomography (CT Scan) offers state of the art scanning for scheduled appointments, urgent and emergency patients. Our goal is to offer same or next day service for our referred patients. 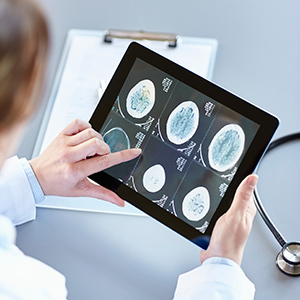 Technical staff includes state licensed radiology technologists who are certified in the advanced practice of CT Scan by The American Registry of Radiologic Technologists (ARRT). Board certified radiologists with subspecialty expertise interpret scans and perform radiological consultations. The Hartford Hospital Imaging Center is accredited by the American College of Radiology for computed tomography. You think you have a condition that might prevent a CT Scan. You are having an abdomen and pelvic CT exam (special preparations are required). You have questions or concerns of any kind. Wear clothing with as few metal fasteners or snaps as possible. See “After Your Exam” if you have diabetes and are currently taking Glucophage, Metformin, or any of the other diabetes meds listed. Bring your most recent x-ray, CT or MRI scans, your health insurance information and any necessary forms. Check in at least 15 minutes prior your scheduled appointment time at the radiology reception desk. A child and/or patient requiring special preparation or sedation may be asked to arrive earlier. Plan for at least 30 minutes to complete your CT examination. The length of your scan will depend on the type of information needed and may require more or less time. Patients with diabetes and taking any form of Glucophage or Metformin, HIV positive, greater than 65 years old will need laboratory work to check for creatinine and BUN blood levels prior to an IV contrast exam. Arrive at the Imaging Center desk at least 30 minutes prior to your scheduled appointment to register for your examination/procedure and take your prescribed oral sedative or pain medication. Make prior arrangements to be driven home from your procedure. Plan to rest for the remainder of the day. Do not drive, operate machinery or make important (legal) decisions for 24 hours following your examination or procedure. Your examination will be performed in a hospital setting where you can be closely monitored. DO NOT EAT or DRINK anything after midnight before your exam. Arrive at the Imaging Center desk at least 30 minutes prior to your scheduled appointment time to register for your examination / procedure. Most abdomen and pelvic CT exams require the patient to drink a prepared oral contrast agent. Preparations vary and may involve pick up of a medication, preparing a liquid, drinking it the night before, special diet instructions or arriving early on the day of the exam to drink the contrast agent in the department before the scan. If you are unsure about the instructions provided at the time your examination was scheduled, contact the Imaging Center at least 48 hours in advance. Failure to prepare properly for an examination may result in delay or re-scheduling of your test. Patients may eat normally after most radiology examinations. It is best to drink extra fluids to help flush out contrast agents possibly administered during the procedure. Patients with diabetes who are currently taking any form of Glucophage or Metformin (Actoplus Met, Avandemet, Fortamet, Glucavance, Glumetza, Janumet, Metaglip, PrandiMet, Riomet), are strongly advised to stop taking these medications the day of the exam and for 48 hours following procedures where IV contrast agents are administered. Patients are advised to increase their fluid intake to flush the contrast from their system. Patients taking these medications need to contact their prescribing physician before resuming the above mentioned medication. You think your child has a condition that might prevent a CT Scan. Because motion can distort CT images, it will be necessary for your child to remain still during the examination. For this reason, CT examinations on young children are generally performed in a hospital setting where they can be monitored under sedation. Generally, children over 6 years of age may be managed in an outpatient setting without sedation. CT examinations are best performed when the child is sleepy. We recommend keeping your child up late the night before the test and waking them very early on the morning of their exam. For this reason, morning appointments are recommended. Bring your child's most recent CT, X-ray or MRI scans, your child's health insurance information and any necessary forms. Also, bring a bottle or snacks for young children to give them after the examination is complete. Plan for at least one hour to complete the exam. The length of your child's scan will depend on the age of the child, type of procedure, level of sedation and monitoring required. Plan to arrive at the Imaging Center desk least 60 minutes prior to his/her scheduled appointment time to register for the exam. DO NOT let the child EAT for 4-6 hours prior to the CT exam. Drinking clear liquids is allowed up to 3 hours prior to procedure. Your child may eat normally after an examination. Children should be encouraged to drink extra fluids which helps to flush out contrast agent or other medications possibly administered during the procedure. A restful level of activity is recommended for 24 hours following any examination or procedure performed under sedation. Sedation causes drowsiness and temporarily impairs coordination. For your child's safety, bicycle riding, skating, swimming or other activities should be avoided. Always follow up with your child's physician after any diagnostic examination. The results of your child's examination will be forwarded to his / her physician, who will share the results and any treatment recommendations with you. Magnetic resonance imaging (MRI) technology is unrivaled in its ability to produce high resolution images of soft tissue and structural anatomy. Volume Computed Tomography (VCT) offers an innovative way for physicians to obtain the information they need to diagnose disease and life threatening illness, including cardiovascular disease, stroke and chest pain. General Diagnostic Radiology includes evaluation of the chest, spine, skull, extremities, hips, pelvis and abdomen. General diagnostic radiology is often used to evaluate suspected fracture or other indications of injury or abnormality. In an ultrasound procedure, high-frequency sound waves (ultrasound) are transmitted to tissues or organs and make echoes. PET/CT combines the functional information from a positron emission tomography (PET) exam with the anatomical information from a computed tomography (CT) exam into one single exam. A mammogram is used to evaluate an abnormal clinical finding, such as a breast lump, that has been found by a woman or her physician. The Department of Interventional Radiology and Neuroimaging’s staff physicians have all received specialized training and are all certified by the American Board of Radiology. Each year, approximately 150,000 Americans are diagnosed with a very common and serious disease - colon cancer. The coronary calcium score screening is a CT scan used to assess your risk of heart disease. In just five minutes, this non-contrast, non-invasive test allows doctors to take pictures of your heart and look for blockages in your arteries that can cause a heart attack. 3D mammography is the latest and most advanced technology available for the early detection of breast cancer. Nuclear medicine is a safe and painless imaging technology that uses small amounts of specially-formulated radioactive materials (tracers) to help diagnose and treat a variety of diseases. Breast MRI is extremely helpful in evaluating mammogram abnormalities and identifying early breast cancer, especially in women at high risk. The following form is requested for appointments at the Imaging Center.